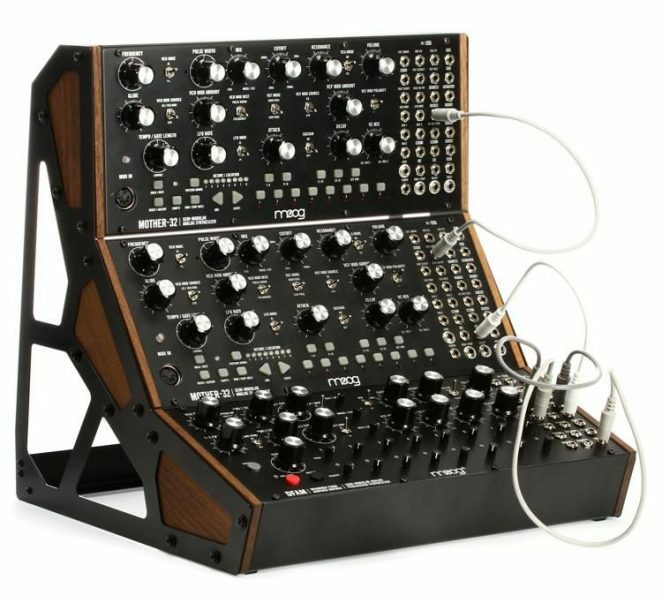 One of the most keenly anticipated new instruments of 2018, Moog Music’s Drummer From Another Mother, is here at last. DFAM is the newest addition to the Mother ecosystem of synthesizers and presents an expressive hands-on approach to percussive pattern creation. It requires no patching, and absolutely no experience is needed for human-beings of any age to quickly begin synthesizing new and unique rhythmic compositions. Activated by an easy-to-use analog sequencer, DFAM’s emotive sound begins with a white noise generator and two wide-range analog oscillators – effortlessly transitioning between rhythmic pulsations, resounding bass and resonant bells in an instant. DFAM’s distinctive voice is then shaped by a classic Moog Ladder filter with two selectable modes: Low Pass mode imparts impact and dimension to each sound it touches, while High Pass mode opens the door to naturally expressive strikes, spikes and clangorous accentuations.